The adventure begins here, with a romp through time to escape some time-traveling androids that trail them. It’s a fun way to begin the series: rather than explain the details right away, we get to see our protagonists thrown into a crazy situation in which we know about as little as Dr. Sethi does. The main historical bit we get in their escape is smack in the middle of the Battle of Trafalgar, where Dr. Sethi is frantically worried about changing history, to much comical effect. The issue is quite funny, in fact, as she sort of plays the role of the sci-fi pop culture fanatics that will likely be the audience for the series, and immediately frets about the rules of time-travel. In the tradition of the best, her avoidance of stepping on a small bug results in saving a man from being decapitated with a cannonball–what’re you gonna do? My only worry deals with how most of the humor of the issue is created, and that’s largely with pop culture references. One or two bits of fanservice is typically fine–throw in the Bowie and the five hour energy–but here we get some Terminator, Airplane, and even Austin Powers (“frickin’ lasers!”). It teeters on the edge of being a bit too precious, and unfortunately the attempt at timeliness seems to only apply to a time several decades ago. Luckily, it never teeters completely over that edge, and the snappy main characters’ wit provide enough funny bits to sustain interest without they somewhat eye-rolling references. Let’s hope that in future issues Van Lente leans more on this style to keep his characters interesting. That said, the issue is a whole lot of fun, and while playing on time-travel storytelling tropes, it avoids the easy pitfalls and manages to create a story that is unique and compelling. Although it’s impossible to avoid comparisons to Doctor Who, what makes this an interesting contrast is in how little we know of the ‘Doctor’ character, that of Ivar the Timewalker. His past and motives in recruiting Dr. Sethi in his never-ending battle against the fifth-dimensional Prometheans that forever track him. 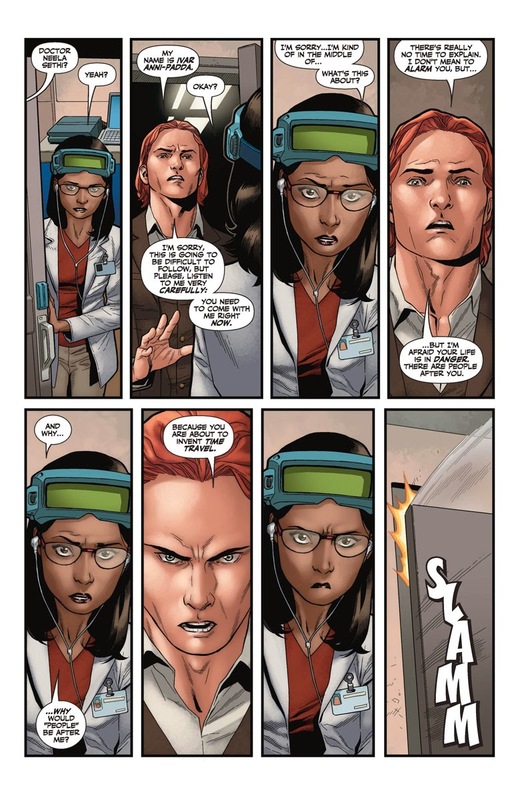 The fact that there are multiple Ivars that cross paths only deepens the mystery that surrounds him, and the last page reveal regarding Dr. Sethi’s connection to the Prometheans creates a tension on both sides of their new found partnership. The art here by Clayton Henry is above average, although it has too much of the digitally smoothed look that I generally don’t go for. What it lacks in natural shading, though, it makes up for in great pacing. The action in the first half of the book is breathless and fun, and the representation of panels in empty space as different time periods that the characters travel to, while not wholly unique, is very well done and has a wonderful level of depth. It lacks in the talking head scenes where there’s a lot of expository storytelling, but when the action and big sci-fi moments come, Henry shines. While not the best thing Valiant is putting out currently, this one is certainly worth a read, especially if you're into time travel stories. 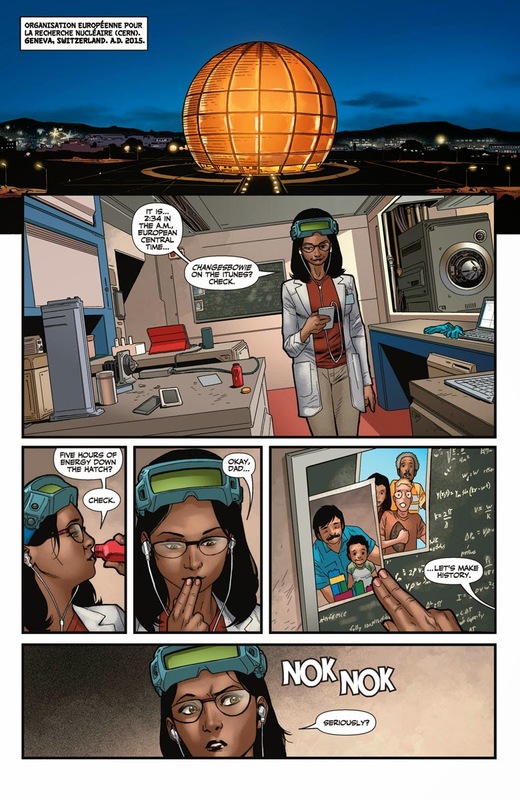 Henry is a great choice for the varied settings that this story will inevitably explore, and Van Lente has a sense of humor that lends itself to creating likable globe/time-trotters. With the next few issues, we’ll see if they’ve ironed out the tone a bit, but it’s definitely worth keeping an eye on. 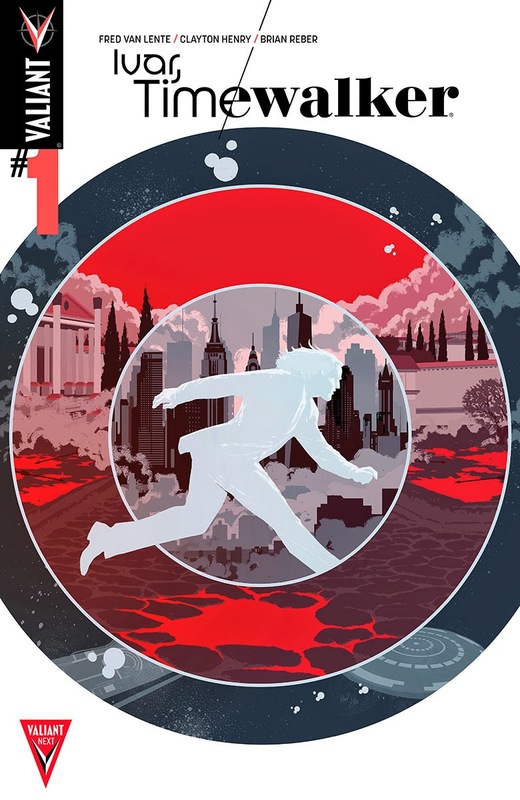 Ivar, Timewalker # 1 comes out this Wednesday, 1/21/15 and will be available at your local comic book shop and on Comixology.